1. 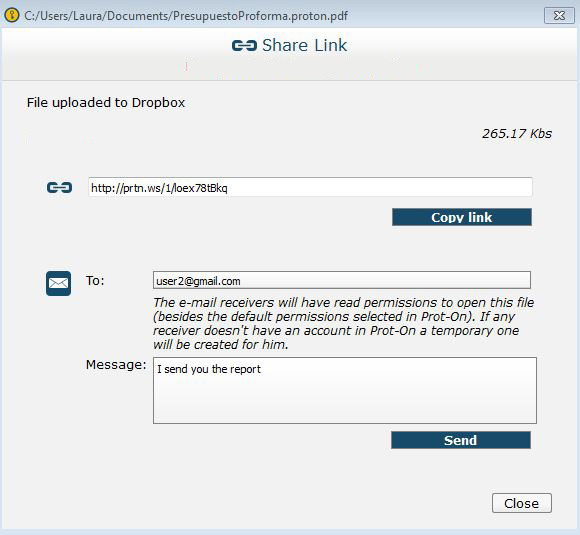 You protect the file and share it with Dropbox or Google Drive from this window. 3. 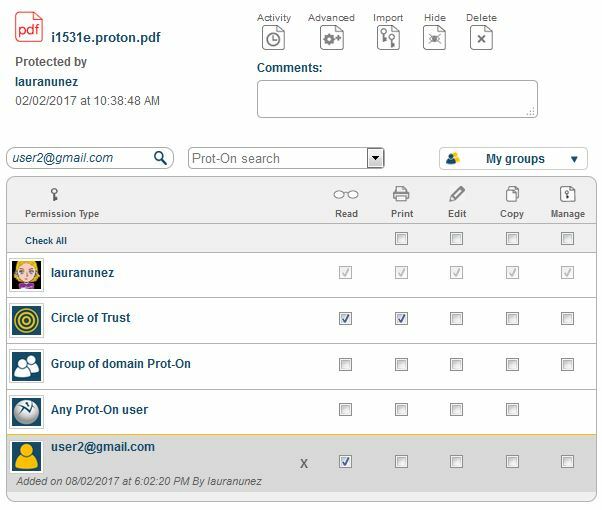 All recipients will receive an email with a link that will let them either register or view the document online, just once, without the need to register as a Prot-On user. 4. The link will be valid for only one use, if the recipient needs to see the document again, he/she can request a new one time link. This action can be done as many times as required, always ensuring that only the intended recipient is accessing the link. 5. 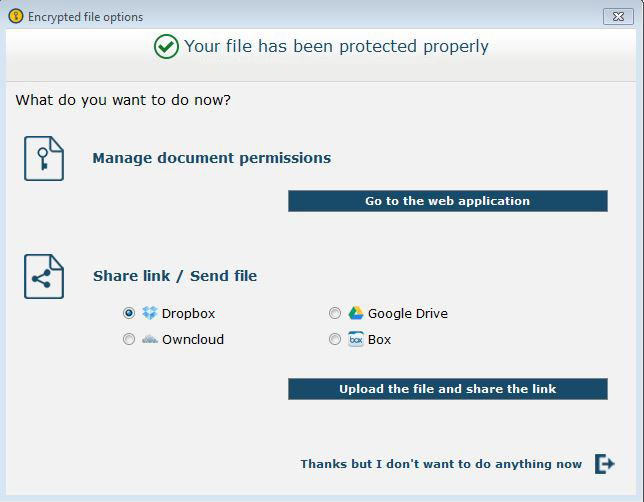 If you want to remove the right to access the document, this can be done by accessing the rights management panel and remove the read permission for that user.